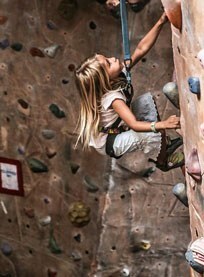 For those seeking a family-friendly workout beyond gyms, yoga or pilates, rock climbing could be your answer. Replete with ropes, gear and cool gadgets, rock climbing is a great way to build strength and endurance throughout your body in a surprisingly low-impact way. 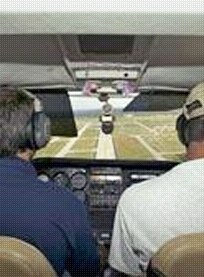 Ever wanted to fly your own plane? 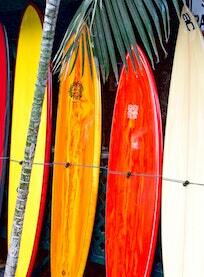 You can have the opportunity right here in Costa Mesa. Royal Aviation, based at John Wayne/Orange County Airport, offers aircraft charter rentals, aircraft leasing, flight classes and certification programs for pilots. Experience the thrill of a lifetime flying an airplane. Have an exciting sightseeing adventure around the Newport Peninsula or a tranquil harbor sunset cruise, Newport Fun Tours offers both extreme and demanding adventures for the physically fit as well as electric equipment for those who prefer to be entertained at a leisurely pace. 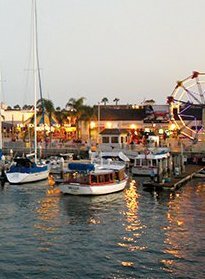 Balboa Boat Rentals offers customers a variety of opportunities for recreational boating in clean, safe and reliable boats. The boats belonging to Dana Wharf Sportfishing & Whale Watching are well maintained and kept clean, and they and offer a full galley with hot and cold food, beer, soda, chips and candy. 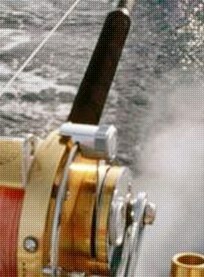 Rods and reels are available for rent and a day license for anyone over 16 years of age is required. 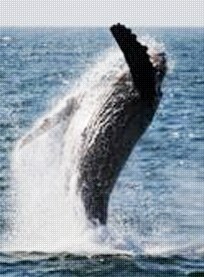 Newport Landing Whale Watching offers whale-watching tours and sportfishing every day of the year. Now is the time to get a great deal on whale watching with a special $15 deal on 2.5-hour whale-watching tours! 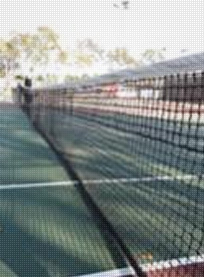 The Costa Mesa Tennis Center offers hourly court rentals, lessons and competitive leagues for children and adults. 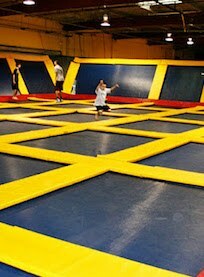 Sky High Sports is a unique and fun activity that will have you bouncing off the walls - literally. With trampolines covering the ground and the walls, Sky High Sports allows you to bounce as high as you can without the fear of falling! chefschool is a cooking school that specializes in hands on professional and recreational courses for anyone interested in improving their cooking skills. 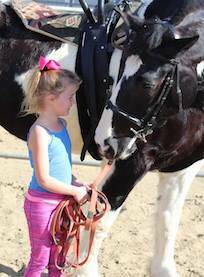 Vaulting brings two sports – riding and gymnastics – together to create a unique acrobatic experience. Want to get a unique view of Southern California’s coast? 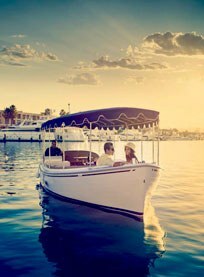 Try a cruise around Newport Beach harbor for brunch or dinner. 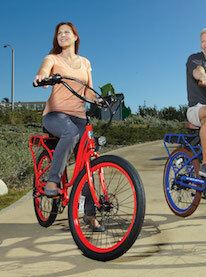 Rent an electric bike to get a unique view of Orange County or join a Pedego Electric Bike tour to explore with a guide. 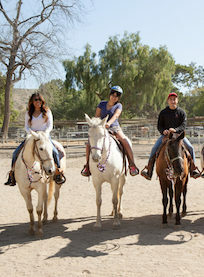 Horse lovers have several options for riding while visiting Orange County, from lessons to a tour through Irvine Regional Park. Get in touch with your creative side at Costa Mesa Ceramics. 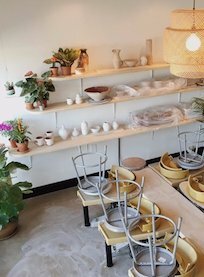 Located on the city’s Westside, Costa Mesa ceramics is a haven for creativity and arts education. Unwind and get in touch with your creativity at Inspired Art and Wine in Costa Mesa. 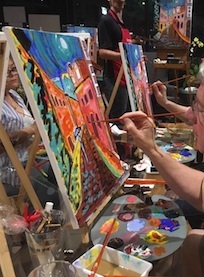 This fun and relaxed art studio invites you to enjoy a glass of wine, music and bites while exploring acrylic, watercolor and texture painting as well as pastel. 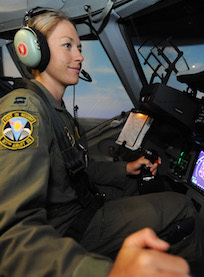 Experience aerial maneuvers and air to air combat without ever leaving the ground at Flightdeck, the flight simulation center in Anaheim, just miles from Costa Mesa. 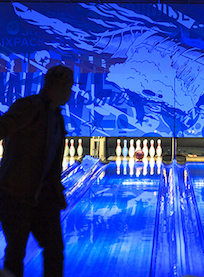 This local bowling alley, sports bar and restaurant is perfect for groups of all kinds.